Marriage is usually centered on love. People get married because they are in love—that’s it. And that’s why there are so many divorces rooted on money, because a lot of couples take the plunge without talking about money. Marriage is about two people becoming one. So while love should be the number one consideration when two people decide to tie the knot, money should be a close runner-up. This is not to say that having or not having money should be the utmost concern. It’s not about who has money or who hasn’t. But it’s about having a conversation about money. Here are 10 money questions you should ask before you get married. There’s a reason why this question is at the number one spot. Debts often ruin marriages. But it’s not necessarily a deal-breaker. It’s not like you ask your soon-to-be spouse if he or she is in debt and call off the engagement if the answer is the affirmative. The important thing is that you lay it down the table. You have to remember that marriage means everything becomes conjugal. So if your partner is in debt, that becomes your debt, too. The good thing about a debt is that it can be solved. There is no need to fear debt. But it is better to talk about this before getting married so there is no reason to argue about debt while you’re already adjusting to married life. Instead, you can just focus on how to stay afloat and craft strategies to pay off all outstanding loans. Another thing to consider is that a wedding is expensive. If one or both of you are in debt, perhaps it’s practical to rethink the wedding expenses. Anyway, marriage should not be about expensive weddings—it should be about partnership. If you are going to share debts, you are also going to share incomes. However, according to a study, over 40 percent of married couples are not aware how much the other person makes. 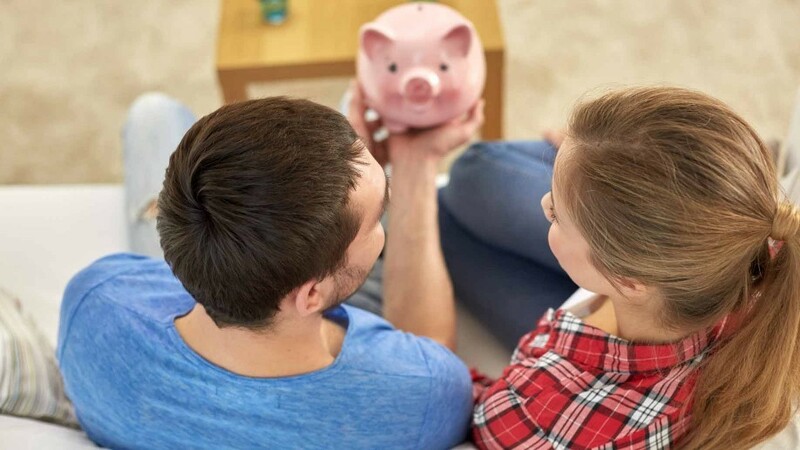 Knowing how much your spouse makes is better for budgeting. Also, if you’re going to get married, it’s better that you don’t bring in secrets to the relationship. Now that you know how much your soon-to-be spouse makes, it’s time to discuss how you will pay the bills. Some couples identify financial obligations for one spouse so that their incomes continue to be separate. But one day, this might blow up in their faces because they will realize that one spends more for the relationship than the other. You may also identify financial obligations according how much the spouse earns—so the person who earns more can pay for the bigger bills. Then there’s another alternative: pooled resources. The two of you can share your income and pay all bills from that joint account. Another thing you need to discuss is who should be in-charge of the finances. If you have individual fiscal responsibilities, you just pay on your own. But if you have a pooled resource, then you have to discuss which one of you should be responsible for paying the bills. This is actually quite unusual and maybe a little bit too stringent. But it’s actually also practical. A credit score determines the financial maturity of a person in as far as credits are concerned. You ask your fiancée or fiancé about his credit score not as an indicator whether he is the one or not. You ask simply to know where he stands. This way, both of you can work on how to make your credit score as a couple as high as it can be. This is actually a series of questions that involve children. A lot of couples get married for the sole reason that they are in love. The issue of children are only discussed in the middle of marriage. This shouldn’t be the case. Before you swap wedding vows, you should already know if the marriage is going to include children. While children are the best part of life, they are also very expensive. That’s why this is an important discussion between two people in love. And when the question has been answered, ask a follow up question: How many children do you want? Remember that expenses involving a child or involving children go on for at least 18 years—sometimes a lifetime. So think about it very seriously. Then an even more important issue: who will take care of the child? Either one parent stays home to look after the kids or get a nanny or enroll at a daycare center. Any of these choices will cost the couple sometime. If one parent stays at home, that means one income would be lost. Getting a nanny or enrolling at a daycare center are two costly alternatives. We all know that shelter is one of the basic needs of a person. It takes on a whole new meaning when you start a family. A shelter is no longer just a place to sleep and eat, it becomes a home. Go over your budget and discuss whether you should be renting or buying a house. Buying only sounds practical until you hear the monthly amortizations of a house. Renting is usually more practical when you are just starting a family. Once you’ve established your routine and realize that you have enough income to pay for hosing amortizations, then book a real estate agent. Basically, this is a question that has already been answered while the two of you just started dating. But with marriage in mind, it’s the best time to seriously ask this question. Goals entail money and so going into marriage. You have to know how much you’re willing to spend to reach those goals. And if you have to spend, you also have to work real hard to earn enough to make those goals a reality. You also have to consider if your goals and aspirations are completely aligned with your future spouse’s goals and aspirations. This is why you need to talk about this before you wear your whites and tux. It’s not necessarily to fight over which goal to achieve and which to dump. It’s all a matter of prioritizing the goals and figuring out which goal or goals are attuned to your relationship. Perhaps one of you dreams of working in the big city within five years. How does the other one feel about that? Can it be worked out? The important thing is that these issues are already presented so each person in the relationship will not be blind-sided. What are your hobbies and habits? One person may be into golfing while the other smokes a pack a day. These activities involve money. But discussing this matter doesn’t mean one has to quit something, it’s simply talking about the things that you love to do so that these could be part of how you manage your finances. What are your responsibilities to your family? You are not just marrying your partner, you are also marrying your partner’s entire family. One of the more common arguments between a couple that is related to money is a family’s dependency to one-half of the couple. Because this creates an imbalance, a grudge may develop within the relationship. But if this has been put forward before marriage, then it means that the other party accepts that it’s going to be part of the financial burden of the relationship. The couple may also discuss how to even out situation. In many cases, travel is part of a couple’s annual expense. There are two reasons for travel: family and vacation. If you don’t live in the same state as your family, chances are you may be traveling during the holidays to be with kin. But there are now two sets of families. You have to make a decision on how to appease both sides of the family. The couple may also choose to travel for pleasure. Traveling is the best way to unwind—although it can also be a cause for stress as far as money is involved. This is why the couple have to talk whether traveling should be a priority or just part of the bucket list. If there is such a thing as sexual incompatibility, then there is also what we call financial incompatibility. Asking yourselves these 10 questions can help address the issue of difference in financial priorities and investment. It is better to address these questions before you tie yourselves down forever. But just remember that negative feedback to these questions doesn’t mean the marriage should not push through. Discussion simply offers the chance to make a compromise in as far as money is concerned. There is a reason why one adage says: money is the root of all evil.